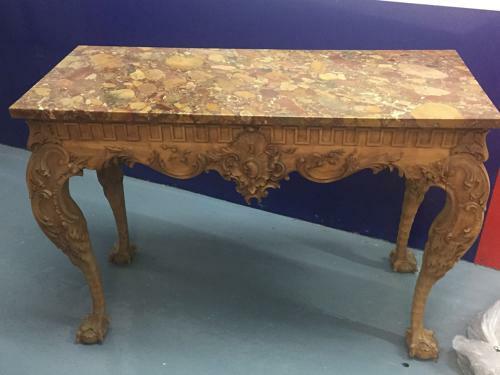 A large and imposing pair of wonderfully carved console tables, in walnut but could be painted or gilded. Always difficult to find especially of this quality. Fabulous marbles set them off splendidly.